Сюда будем бросать информацию о грядущей главе, а также впечатления от оной, как только она станет доступна. Презентация главы - сегодня в 23:00 Мск, на твитче. Journey to the home of the High Elves in The Elder Scrolls Online: Summerset, the newest Chapter of ESO. Experience an epic story in an all-new zone, unlock a new skill line of abilities, join the secretive Psijic Order on a mission to save the world from destruction, and more! Coming this June. 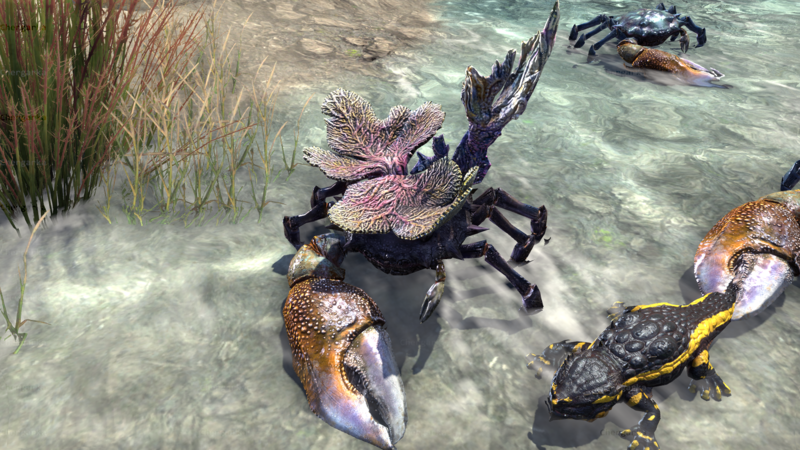 Pre-purchase The Elder Scrolls Online: Summerset, the next chapter of ESO, and immediately receive the Nightmare Senche Mount. Journey to the home of the High Elves this June! Explore an all-new zone, unlock a new skill line of abilities, and more. By royal decree, the once-forbidden island of the High Elves has been opened, its Crystal Tower drawing travelers to its light. 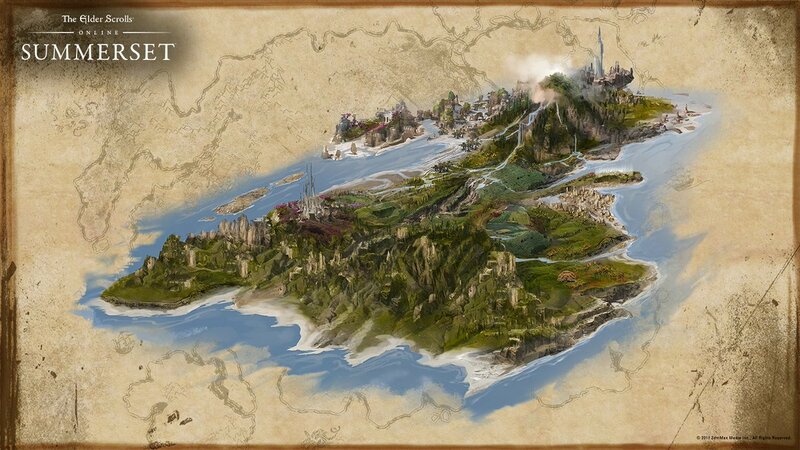 But dark forces from beyond and below are also interested in the mystic location in this new chapter set in the Summerset Isle. Forge potent new gear with Jewelry Crafting and bolster your power. You'll need every advantage to succeed on your quest. Travel to the island of Artaeum to seek the aid of this mysterious group of mages. Become a fledgling member of their order and unlock a new skill line of powerful abilities to aid you on your adventure. With this collection of style pages, you can make use of the Divine Prosecution armor and weapon styles in the Outfit System. As this is not a motif book, you will be unable to craft equipment in this style. - введут награду за первый в день матч на бг (по аналогии с первым в день рандомным данжем). Саммерсет появится на ПТС 16 апреля. Дополнение появилось на тестовом сервере. НДА разрешают обсуждать всё, кроме мейнквеста. Призываю делиться впечатлениями!